DITA is pleased to announce the creation of the Bowden Th.D. 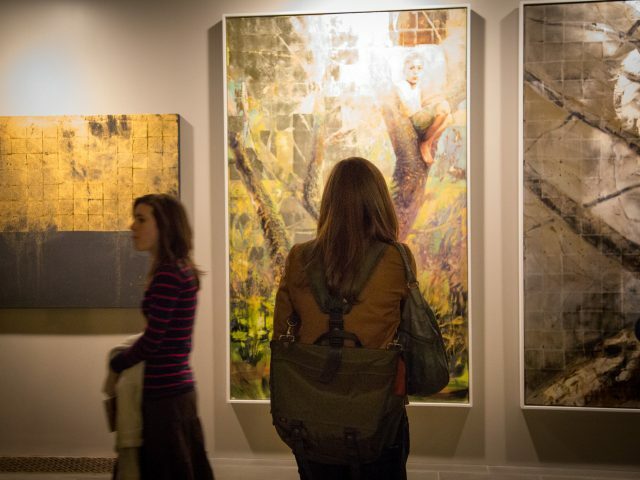 Scholarship in the Visual Arts. 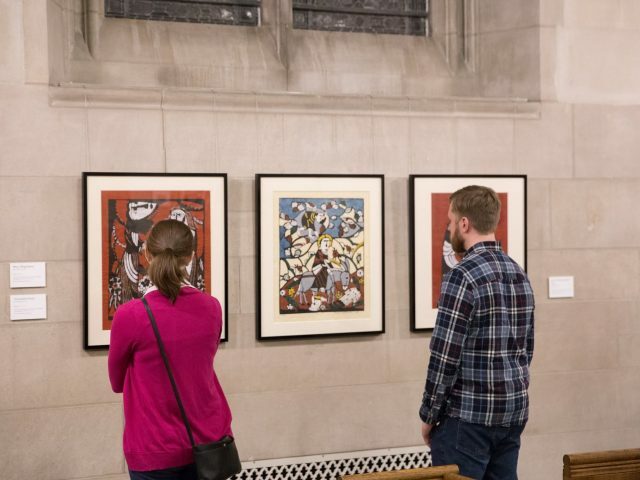 Through the generosity and vision of Sandra and Robert Bowden, Duke Divinity School will now offer five years of funding for a doctoral student doing research at the intersection of Theology and the Visual Arts. 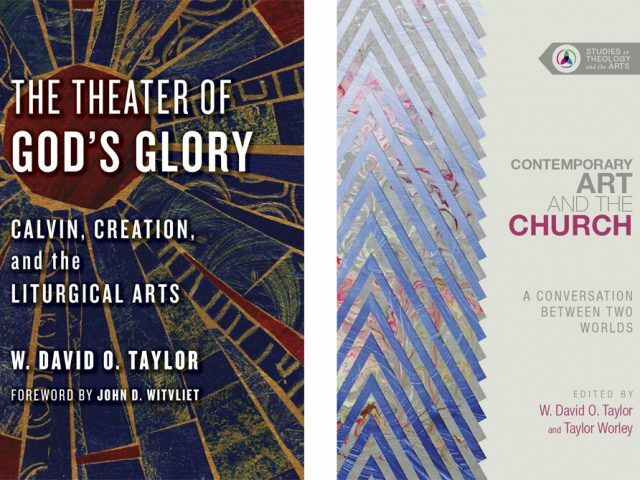 This spring, five graduating students in Duke Divinity’s Master of Divinity (M.Div) and Master of Theological Studies (M.T.S.) 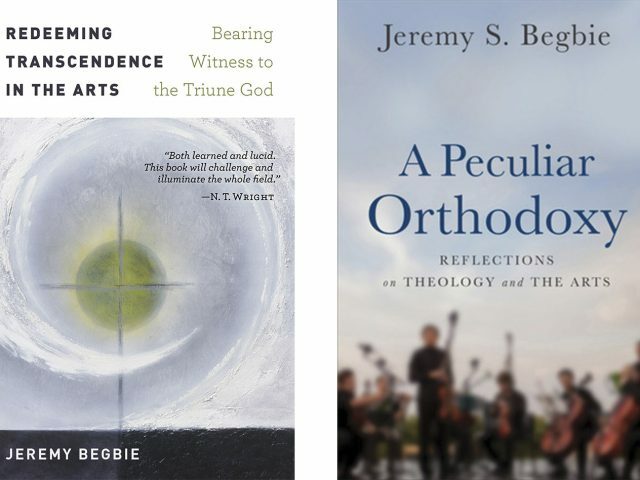 programs presented their terminal theses as part of DITA’s new Certificate in Theology and the Arts (CTA). 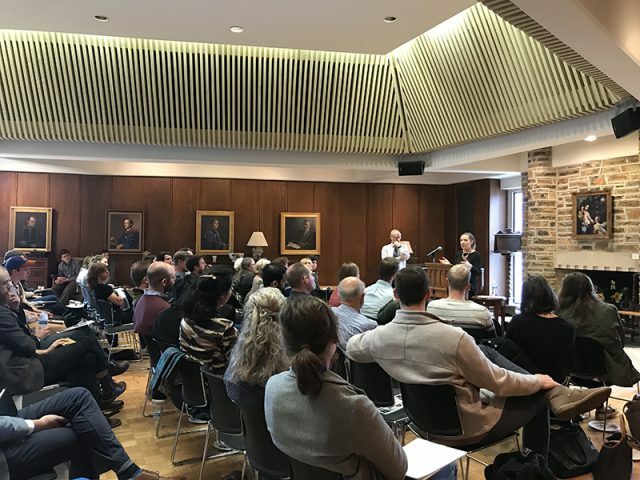 This was the first research colloquium for the Certificate, which provides Masters level students an avenue to integrate the arts into their faith and work. 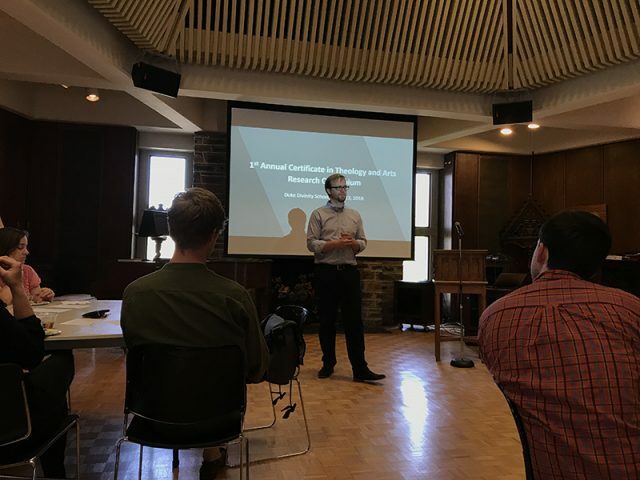 Presentations ranged from speculative theology to cultural criticism to service-learning projects completed during field education placement. 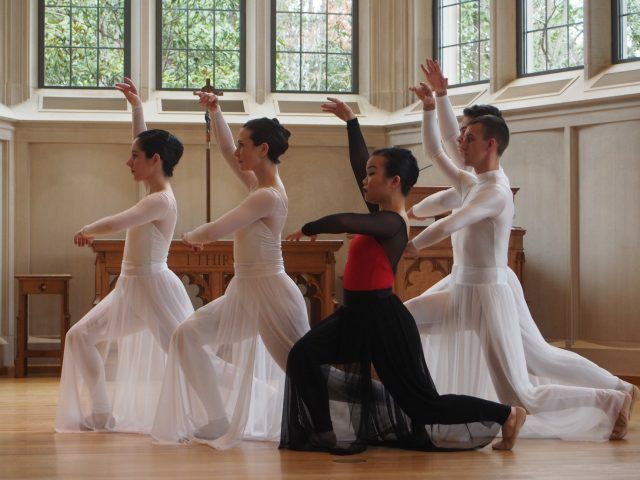 Carole Baker premiered her interactive exhibition, “Mary: The Paper Doll Project,” with an opening lecture at Duke University Chapel on Wednesday, December 20th at 2pm. The premier followed the annual Duke Chapel by Candlelight Christmas Open House. Baker, an associate research and a Th.D. student at the Divinity School, created the project that presents different cultural depictions of the Virgin Mary. 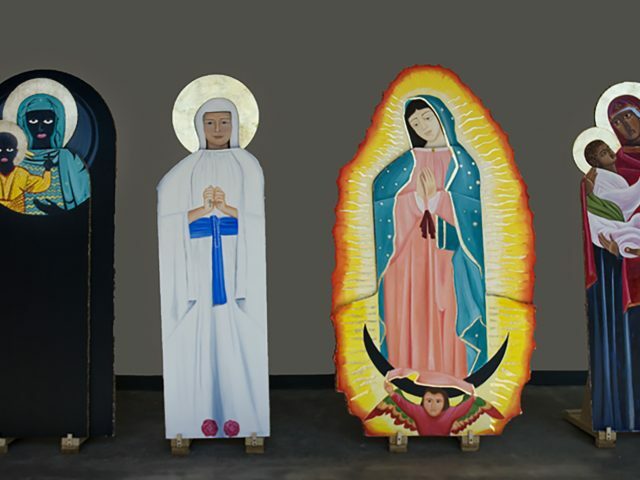 The exhibition consisted of four life-sized “paper dolls” which allowed viewers to interchange the outer layers of the dolls, resulting in the exploration of the universality and particularity of Marian manifestations. 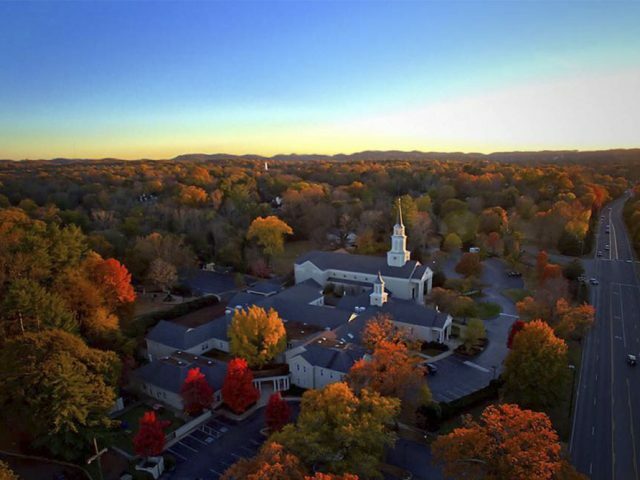 We are thrilled to announce that DITA has entered into the second of a multi-year partnership with St. George’s Episcopal Church in Nashville, Tennessee. This pioneering initiative grows out of and reflects DITA’s mission to be anchored and expressed in local congregations. 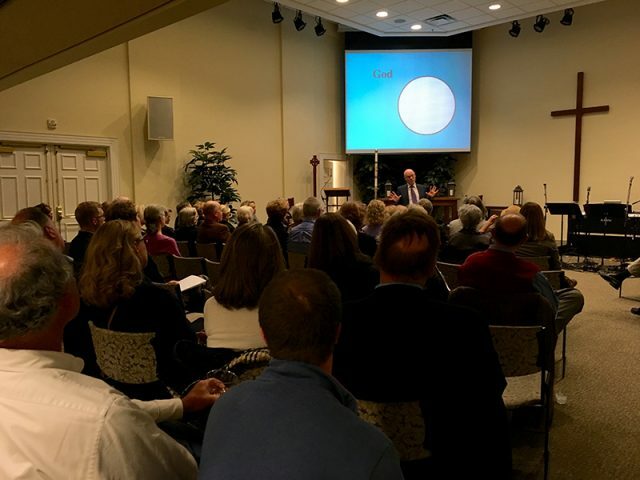 As a church with an extraordinary commitment to the visual and musical arts, St. George’s is uniquely placed to benefit from the research and teaching in theology and the arts at DITA as well as to help future ministers put into practice this crucial area of the church’s worship and mission. The mutually-enriching collaboration between St. George’s and DITA is a unique opportunity to launch what we hope will become a much larger and nation-wide initiative.